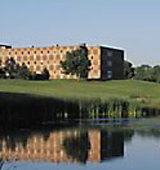 Northwestern Health Sciences University is college with 113 students located in Bloomington, MN. The average student pays $14,794 for tuition, fees, and other expenses, after grants and scholarships. Total stated tuition is $11,370, in-state and on-campus, before financial aid. Learn more about financial aid at http://www.nwhealth.edu/financial-aid/. Estimate the net price for you at http://nwhealth.studentaidcalculator.com. Want more info about Northwestern Health Sciences University? Get free advice from education experts and Noodle community members.